David Poole and Brian Koegle of Poole & Shaffery, LLP present the California Employment Law Update for 2017. 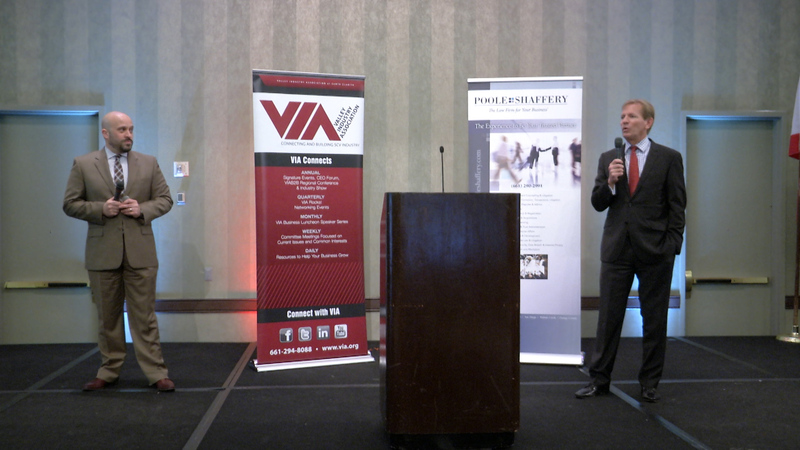 Poole & Shaffery gave their presentation during the Valley Industry Association’s February 21st meeting at the Hyatt Regency Hotel in Valencia. The Valley Industry Association of Santa Clarita represents business interests throughout the Santa Clarita Valley. VIA provides our members, a blend of industrial, commercial and service companies, the opportunity to collaborate on a broad range of business issues. In addition to being a legislative advocate, VIA serves as a one-stop shop for relevant business information, supports local educational initiatives, and provides networking opportunities. If you are currently doing business in Santa Clarita or are considering moving your business here, VIA is the conduit to business connections in the Santa Clarita Valley.